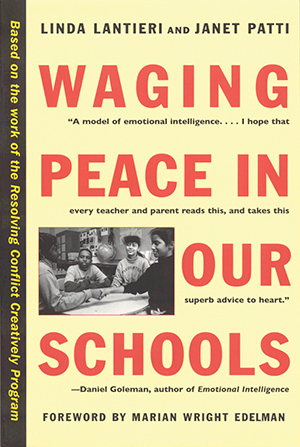 Linda Lantieri, coauthor of Waging Peace in Our Schools, is the founding director of the internationally recognized Resolving Conflict Creatively Program of Educators for Social Responsibility, and the director of the New York office of the Collaborative for Academic, Social and Emotional Learning (CASEL). She lives in New York City. "A model of emotional intelligence. . . . I hope that every teacher and parent reads this, and takes this superb advice to heart." "Parents, educators and counselors need to put this groundbreaking work on their 'must read' lists." "A convincing argument that public education should nurture not only the minds but the hearts of children." "More than 70 percent of teachers who've gone through the RCCP training report that there is less physical violence in their classrooms and that their students now exhibit more caring behavior and increased skills in understanding other points of view. . . . The authors do an excellent job of outlining the steps parents can take . . . to create a 'peaceable home.'" "Lantieri and Patti bring a passion and insight to their task of illustrating why students fight-and what can be done to stop it."